There are two main philosophies of bulking that people tend to follow. One is the traditional bulking/cutting phases, and the other is cyclical bulking. 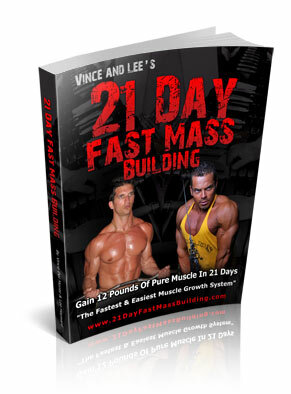 During my time researching and experimenting to create the 21-Day Fast Mass Building Program, I experimented with both techniques, and what I found will blow your routine out of the water. Of the two, cyclical bulking will give you results so dynamic that you simply have to experience them to believe how much more effective this technique is. Christian Thibaudeau is one of the world’s leading experts on muscle building. 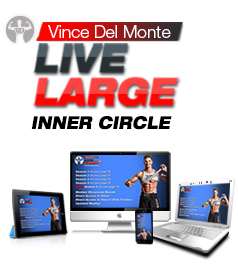 He once said, “You can add size or volume to a structure either by making the existing components bigger (hypertrophy), or by increasing the number of components (hyperplasia).” This simple statement is quite important in the world of muscle building. Hypertrophy often means muscle hypertrophy, but not in this case. Mr. Thibaudeau is actually referring to increasing the size of fat cells. Think of your fat cells like balloons. 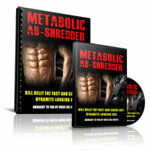 They will expand and contract a bit to make room for growing and shrinking fat storage – which is hypertrophy. Once they are filled to capacity, the body will create more cells to store more fat – which is hyperplasia. As you’re working to improve your health and body shape, you can’t make these new fat cells disappear. The body can empty the fat cells, but only cosmetic surgery can remove them. In traditional bulking/cutting models, bodybuilders will increase their caloric intake significantly for a long period of time. This causes the body to produce new fat cells. This, in turn, will help the body store fat more efficiently, which is not what you want. If you have gone through a series of bulking/cutting sessions, you might find that you are suddenly packing on the fat more quickly than you have in the past. This is because of those additional fat cells. Yet, this isn’t the only problem with bulking/cutting protocols. You’ll also find that they cause significant problems with your hormone levels. People who go through a bulk/cut cycle will find that fat falls off quickly in the beginning stages of the cutting cycle. The protocol primes the body to cut fat, and in those early stages, it shrinks quickly. The higher metabolic rate is the reason for this. With that higher metabolic rate comes higher levels of ghrelin, T3 and leptin. The body’s amazing ability to adapt to caloric change is why this fat loss is not sustainable. Your body will adapt to the changes you are putting it through, soon causing your fat loss to slow down. Now, when it’s time to go back to bulking, you’ll see fast gains. This is because the body is tricked into gaining because of the reduced caloric intake during the cutting phase, which maximizes insulin sensitivity and anabolic hormone levels. When your body once again adapts to your new routines, your muscle gains will slow down. This is just how bulking and cutting works, and it’s not new knowledge. In a study published in the 1980s by Forbes, et al, entitled Hormonal Response to Overeating, researchers found that adult women who reduced their caolric intake to 1200 to 1500 calories per day for three weeks saw a significant increase in insulin, testosterone and IGF-1, the three most important anabolic hormones. This increase led to muscle weight gains in the women. Bulking/cutting does work, but only until the body has a chance to adapt. Traditional protocols will bulk for 16-48 weeks, then cut for a similar period of time. 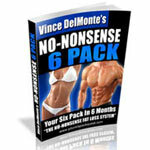 This will create plateaus during both phases because of the way these changes affect hormones. Cyclical bulking uses shorter periods of cutting and bulking to limit this plateau problem. This creates a situation of transitional optimization, where your metabolism and anabolic hormone levels are at the best point, but the workout and diet routine switches before the body has a chance to adapt. The end result is better gains and fat loss. In cyclical bulking, your bulking phase is shorter. You are able to take advantage of the anabolic hormone levels created during the cutting phase, and then return to the cutting phase before the hormones adapt to the increased calories, triggering the growth of new fat cells. This is followed by a short cutting phase. The increased insulin sensitivity and maximized leptin levels during the bulking phase help maximize fat loss during this cutting phase. You are out of the phase before the hormones have a chance to drop significantly. This allows you to trick your body into avoiding plateaus. You are essentially rebooting your hormones before problems occur. 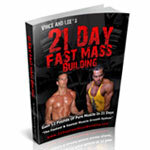 In our 21-Day Fast Mass Building Program we created a plan with a three-week cycle. For two weeks, you overload. This is the bulking phase. Then you switch to a one-week primer phase, which is your cutting phase. This works well, but I’ve found since 2005, when it was created, that other routines also work. Sometimes you might bulk for two to 12 weeks, then follow with anywhere from one to four weeks of cutting. This can work well. You simply need to maximize those optimum hormone levels and switch before the body adapts. In order to make this work, you need to follow some guidelines. First, when you’re bulking, take in quality calories. Don’t treat yourself with junk food, because this will cause new fat cells to develop and kill your insulin sensitivity. During the cutting phase, cut your calories sensibly. Don’t go so low that cortisol levels increase. This will harm your anabolic hormone levels. Consume protein during this time so your body can continue to grow muscle. Flexible cutting and bulking cycles should be flexible to work into your schedule. You will need to use a little trial and error to find the system that works best for you. In the end, these shorter cutting and bulking cycles will help you avoid plateaus as you work to increase muscle mass without increasing fat. 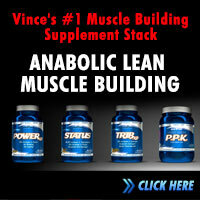 Hi Vince, is meat necessary for bulking up fast? Yes, this cyclical bulking thing does indeed make sense. In fact, carbohydrates cycling is also making use of the same principle. This is one of those, “Why didn’t I think of this” concepts. I was a traditional 6 month bulk, 6 month cut guy. It sucked psychologically for 2 reasons. 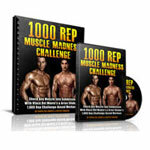 Recently I have been using a 2 month bulk, 2 week cut, repeat cycle and its so much better. And cutting for 2 weeks is simple.